Powers Molinar manages multimillion dollar computer projects during the day and reads and writes sci-fi adventure novels at night. When not writing, he enjoys playing board games like Settlers of Catan, Agricola, and Pandemic as well as classic and new video games with his kids. While he finds writing to be immensely satisfying, Powers writes books because he wants kids to read. His hope is to inspire an interest in reading by creating books that are interesting and exciting to kids. Powers believes every kid has the potential to lead an exceptional life, and being an exceptional reader is among the first steps toward that goal. Ty and Marcus Mitchell are average middle school brothers growing up north of Chicago until one night when they’re hurtled through an inter-dimensional gateway to a parallel world defined by its multiple moons and planet-wide apocalypse. As they struggle to figure out where they are and how to get home, the boys encounter refugees of “the last day” from the distant city of Atlantis and a mysterious girl called Bellana, the sole survivor and resident of the devastated city of Spartanica. Ty and Marcus soon learn they only have seven days to get home. But before they can leave, they must battle through long-extinct predators, track down the elusive Professor Otherblood, and rescue a new friend from certain death. 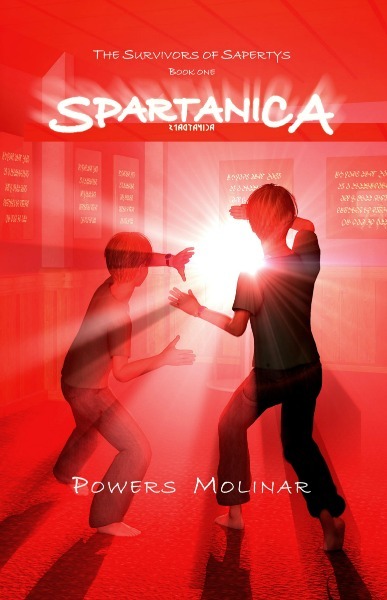 Is all of this insanity just Ty’s overactive imagination or are the brothers truly on the brink of being stranded on the brutal wasteland known as Spartanica?